Winter came early this year to the delight of lovers of the snow and mountains. Discover the pistes of Bugaboos with an Olympic champion? This is what Luc Alphand is proposing, who just discovered heli-skiing at the beginning of the year. 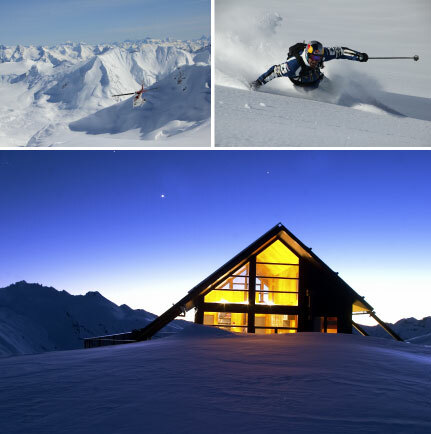 It was in fact in Canada that the first heli-skiing site in the world was born in 1995. It is also one of the best, most varied places for skiing, as much in the trees as on the high glaciers. During this wonderful holiday, great comfort and a cosy atmosphere await you in a privatized lodge for six days of extreme sports with the great champion as your coach. 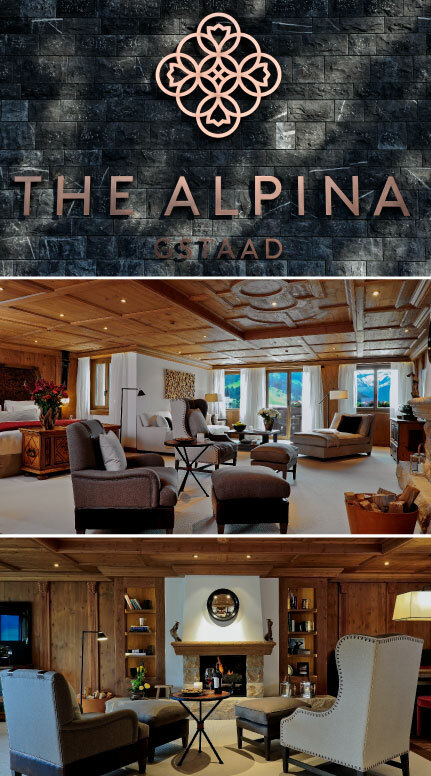 Designed so that its occupants can fully enjoy the serenity of nature, The Alpina Gstaad is a contemporary interpretation of traditional Swiss architecture, blending alpine style and authentic local materials. Huge blocks of Ringgenberg limestone were hand-cut to decorate the entrance and ground floor. Fir wood weathered by the years, recovered from old farms, decorates the building façade and the walls of the public areas of the hotel. A gable roof, raised up by skylights, is covered with natural slate. Letting in daylight, the large windows of the ground floor open onto a beautiful mountain landscape. A warm atmosphere and the art of living in the mountains emerge from The Alpina Gstaad, tinged with Swiss sophistication. Three restaurants (including a Japanese, Megu, designed by French designer Noé Duchaufour-Lawrance), a fumoir, and a private cinema complete the 56 rooms and suites. THE CONQUEST OF MONT BLANC. 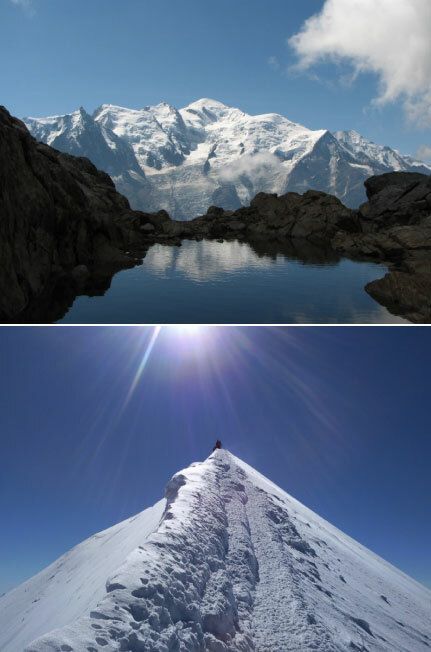 Climbing Mont Blanc remains merely a dream for many climbers. But today, the trend is to climb it as quickly as possible by taking lifts to save time. 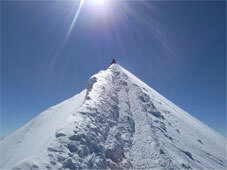 A train of thought that is not shared by Daniel Mercier, the mountain’s leading world expert. With him, Mont Blanc is tackled in the manner of its first conquerors: by taking time and tackling the more difficult Italian side. A high-level ascension aimed at experienced climbers. 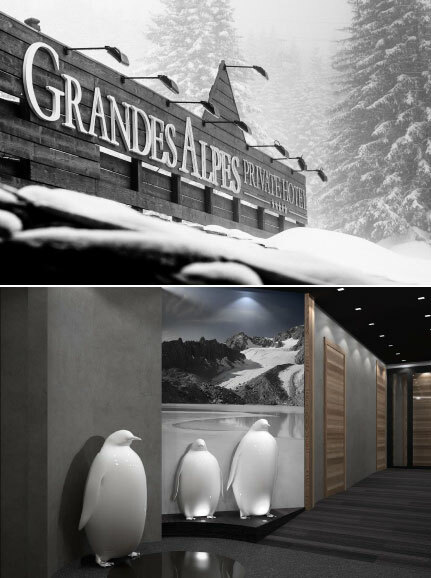 Built in the 1950s in the heart of the nascent Courchevel, the Grandes Alpes Private Hotel remains an emblematic figure of the elegant resort. Valmont now includes a spa. The association with the five-star hotel of only nine suites and apartments is a coming together of the Guillon family, owner of Valmont, and Gaya Protsenko, manager of the establishment. With two cabins and a hair and beauty salon, the spa offers a selection of signature and specific treatments of the Swiss brand. The fragrance notes of Italian brand Il Profumo, recently acquired by the group, colour the atmosphere with chocolate, love and other alluring fragrances, the ultimate touch to complete the perfect tranquil setting. AT THE GRAND COEUR & SPA. Located at the foot of the slopes, the hotel harmoniously combines Alpine pine, red cedar, and the stone of Lauzes. 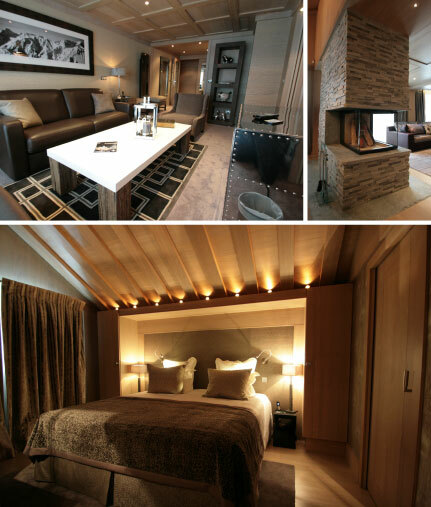 The only Relais & Châteaux in Meribel, this year the Grand Coeur & Spa has added two new suites to its 43 rooms, suites and apartments. Exposed to the west with a view of the mountain, they were designed in a “contemporary mountain” style with high quality materials and advanced technology. As for the treatments, the hammam, in pâte de verre and gold paste, the panelled treatment cabins distilling pleasure and purity, are complemented by a Valmont spa. This is the way to combine the pleasures of snow and a luxury spa. A REFINED AND PRESTIGIOUS TRIP ON A PRIVATE JET. 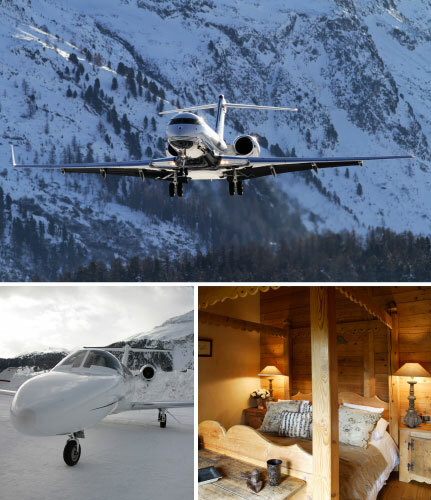 Global Jet Partner, a specialist in the rental of private jets, is offering mountain destinations in luxury pampering chalets this winter. 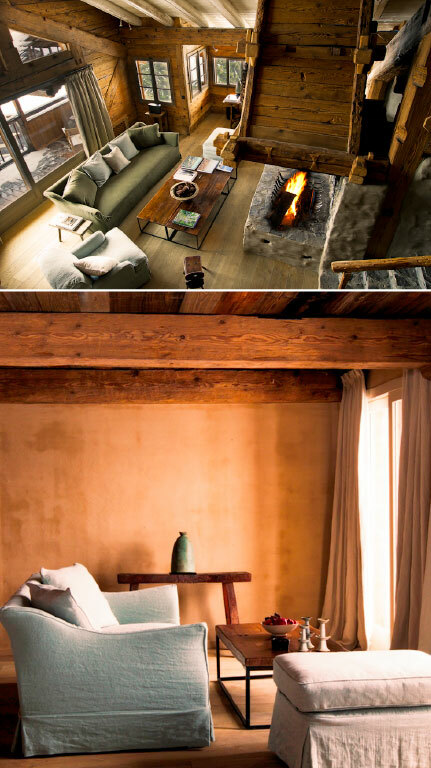 You are invited for a stay of contemplation at the Granges d’En Haut, Chamonix. It is a rediscovery of the senses with free access to the Spa Caudalie and the private use of a gourmet chef. At the Chalet des Fermes de Marie in Megève, charm, elegance, luxury and enchantment are on the program of this mountain farm for a total escape. A private jet, but also a personal chef, an on-site dedicated housekeeper to ensure the well-being of guests from day-to-day, access to a Concierge service to meet all your wishes, and free access to the Spa Pure Attitude des Fermes Marie…This is refinement in its purest form! photo: Credit photo Les Chalets des Fermes L. Di Orio, F. Ducout. 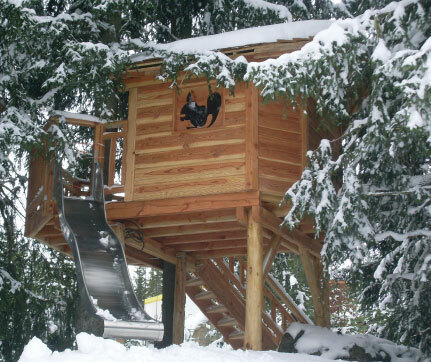 A TREEHOUSE IN LES AIRELLES. 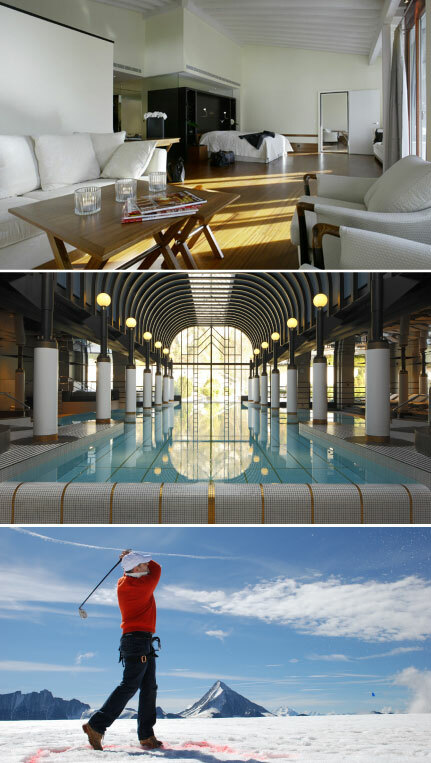 Located at the foot of the Niseko-Annupuri, the resort offers activities throughout the year. But it is in winter that is at its most spectacular. Ranked as one of the busiest stations in Japan, Niseko Village is a paradise for lovers of winter sports. The Green Leaf Niseko Village has been redesigned in a contemporary way to showcase the creativity of local artists. 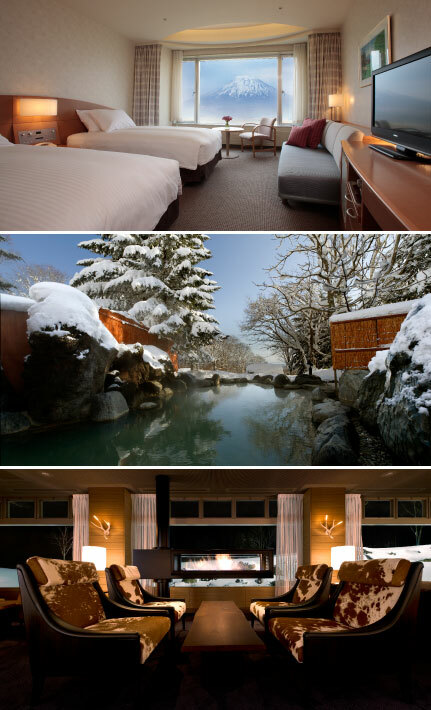 This 200-room hotel has the advantage of being on the slopes and enjoying the luxury of an authentic onsen spa (Japanese hot springs). The Hilton Niseko Village also enjoys a perfect location to enjoy a wide range of outdoor activities. Opened in July 2008, the hotel has 506 rooms, a variety of restaurants and bars, an award-winning spa and a private gym. SNOW GOLF AT THE VICTORIA-JUNGFRAU GRAND HOTEL & SPA. Located in the heart of the Swiss resort of Interlaken, the Victoria-Jungfrau Grand Hotel & Spa offers an unusual version of the traditional golf that requires focus and concentration: snow golf. After improving your handicap, there’s nothing like sharing a good time with other igloobase golfers, the only mountain clubhouse in the world. And for those who wish to engage in other outdoor activities, it is also possible to go fishing on the thick ice of Lake Stockholm. Guides help you land your fish and you can even, if you like, enjoy your takings grilled right inside the igloobase. It all began in 1963 when Maryse and Michel Rochedy bought a small cottage with 9 rooms in Courchevel. Fifty years later, the hotel has 41 rooms and suites and is one of the finest addresses on the resort. The decoration and mountain style of Le Chabichou reflects the generosity of the Rochedy family. Whilst the luxury is maximum, it is also never ostentatious, and gives visitors the impression of being in a familiar and warm home. Made a Relais & Châteaux member this year, Le Chabichou is also – and above all – a gourmet restaurant (awarded with two stars), run by the talented Michel Rochedy – a Master Chef of France and a member of the Association des Plus Grandes Tables du Monde – and Stéphane Buron, the Meilleur Ouvrier de France. A “REFUGE” SUITE IN MEGÈVE. To avoid the temperatures of the night yet be as close as possible to the stars, the Domaine du Mont d’Arbois is offering a unique experience in Megève. A new “refuge” suite, accessible only by cable car at 1850 meters above sea level, facing Mont Blanc, on the aptly named Alpage de l’Idéal. 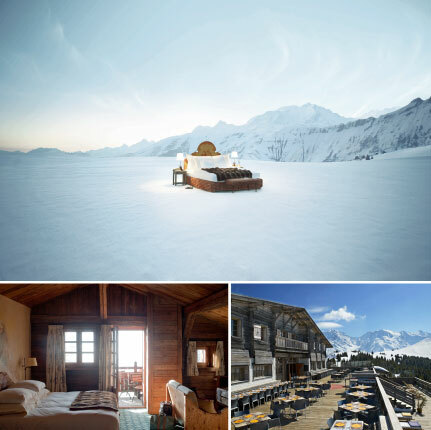 A unique invitation to intensely experience the luxury of the high mountain and the various activities offered by Relais & Châteaux: golf, polo, sledding, paragliding, airplane, helicopter, and of course, skiing at will! The richness and originality of the activities proposed by this chalet make the spot a favourite of athletes seeking extreme thrills, alpine addicts and nature lovers. photo: Credit photo Michael Schnabel – SUITE IDEAL MR. 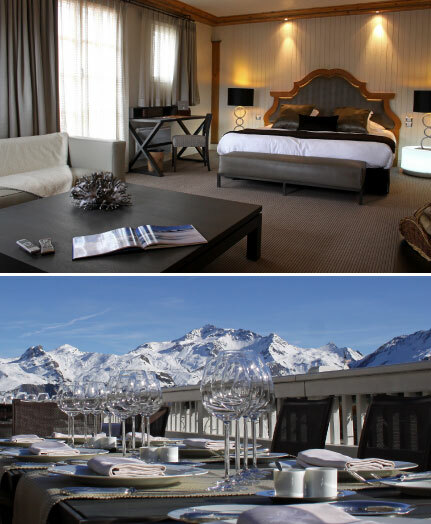 Opened in December 2011, Le Chalet Zannier in Megève has obtained its classification in the 5 star category. The former ‘Ferme de Mon Père’ and its three cottages has been lovingly renovated by the Zannier family. Housing twelve suites and a private cottage with eight rooms, a gourmet restaurant, an intimate wellness centre with a swimming pool and spa facilities, the Chalet deploys the intangible codes of luxury. An essential indulgence, evocative in the heart of a preserved environment, renowned the world over.